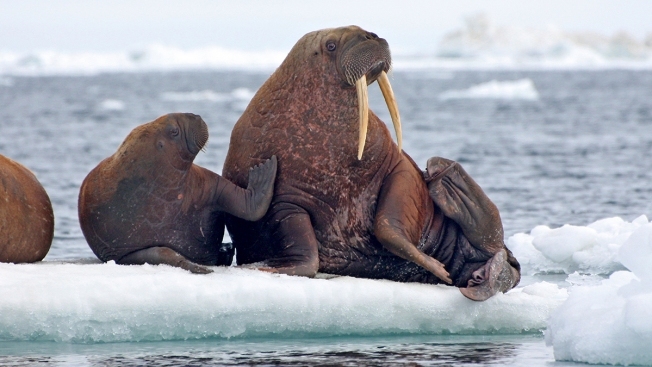 This June 12, 2010, photo provided by the United States Geological Survey shows Pacific walruses resting on an ice flow in the Chukchi Sea, Alaska. A lawsuit making its way through federal court in Alaska will decide whether Pacific walruses should be listed as a threatened species, giving them additional protections. Walruses use sea ice for giving birth, nursing and resting between dives for food but the amount of ice over several decades has steadily declined due to climate warming.